Malic Acid, MCT Oil (Fractionated Coconut Oil), Acesulfame Potassium, Sucralose, Silicon Dioxide, Sunflower Lecithin, Natural & Artificial Flavors, Color (Blue B1). Contains: tree nut (coconut). Produced in a facility that also handles ingredients from milk, wheat, egg, peanut, soy, tree nut (hazelnut). Intended for healthy adults' occasional use as a dietary supplement only. Do not exceed suggested daily use. Not recommended for children. Consult a physician before using this product if you: are taking any medications; are under a physician's care; have any ailments or conditions; have any product, ingredient, or health concerns; are trying to get or are already pregnant; are breastfeeding; have a liver or kidney disorder. Packed by weight, not by volume. Do not use if packaging has been tampered with. Store in a cool, dark, dry place. Contains a desicant packet for freshness - do not consume. KEEP OUT OF REACH OF CHILDREN. Citric Acid, MCT Oil (Fractionated Coconut Oil), Acesulfame Potassium, Sucralose, Silicon Dioxide, Sunflower Lecithin, Luo Han Guo (Siraitia grosvenorii) Fruit Extract, Natural & Artificial Flavors, Color (Red Beet Powder). 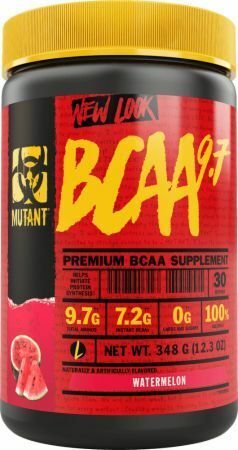 Malic Acid, Citric Acid, MCT Oil (Fractionated Coconut Oil), Acesulfame Potassium, Sucralose, Silicon Dioxide, Sunflower Lecithin, Luo Han Guo (Siraitia grosvenorii) Fruit Extract, Natural & Artificial Flavors, Colors (Beta-Carotene, Red Beet Powder). For adult use only. Store out of reach of young children. Not recommended for children or pregnant or nursing women. Food supplements are intended to supplement the diet and should not be used as a substitute for a varied diet. A varied and balanced diet and healthy lifestyle are essential for good health. For occasional use only. Consult a health care practitioner prior to use: if you have a liver or kidney disorder or any medical condition, if you are taking any medication, before starting any diet or exercise program. Do not use if packaging has been tampered with. Store in a cool, dry place. Citric Acid, Malic Acid, MCT Oil (Fractionated Coconut Oil), Acesulfame Potassium, Sucralose, Silicon Dioxide, Sunflower Lecithin, Luo Han Guo (Siraitia grosvenorii) Fruit Extract, Natural & Artificial Flavors, Colors ( Blue 1, Beta-Carotene). Citric Acid, Malic Acid, Natural & Artificial Flavors, Sucralose, Acesulfame Potassium, Silicon Dioxide, MCT Oil (Fractionated Coconut Oil), Sunflower Lecithin, Color (Beta-Carotene). Citric Acid, Malic Acid, MCT Oil (Fractionated Coconut Oil), Acesulfame Potassium, Sucralose, Silicon Dioxide, Sunflower Lecithin, Natural & Artificial Flavors, Color (Beta-Carotene). Citric Acid, Malic Acid, MCT Oil (Fractionated Coconut Oil), Acesulfame Potassium, Sucralose, Silicon Dioxide, Sunflower Lecithin, Natural & Artificial Flavors, Colors (Caramel, Beta-Carotene). Citric Acid, MCT Oil (Fractionated Coconut Oil), Acesulfame Potassium, Sucralose, Silicon Dioxide, Sunflower Lecithin, Natural & Artificial Flavors, Color (Red Beet Powder).